Following on from 6 awareness raising sessions for staff within Fairfield Hospital A and E department – Fairfield General Hospital in Bury has become the first hospital in the UK to pledge to be part of the Homeless-Friendly programme – helping rough sleepers receive care before they fall dangerously ill.
A lack of permanent address means that many people experiencing homelessness believe they cannot get treatment at their local GP. Instead they often visit A&E to receive care. 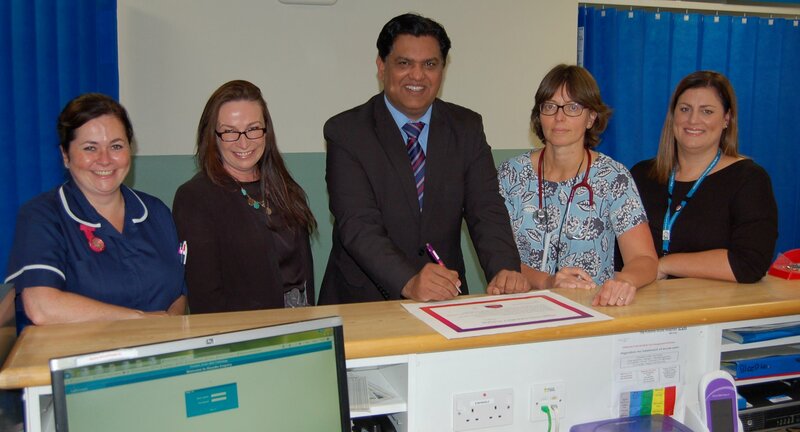 But a partnership between The Northern Care Alliance NHS Group, which manages Fairfield General Hospital, and the Homeless-Friendly programme will ensure patients attending A&E in Bury are now also signposted to GPs, dentists and social workers that can help them with health and housing issues in the future. 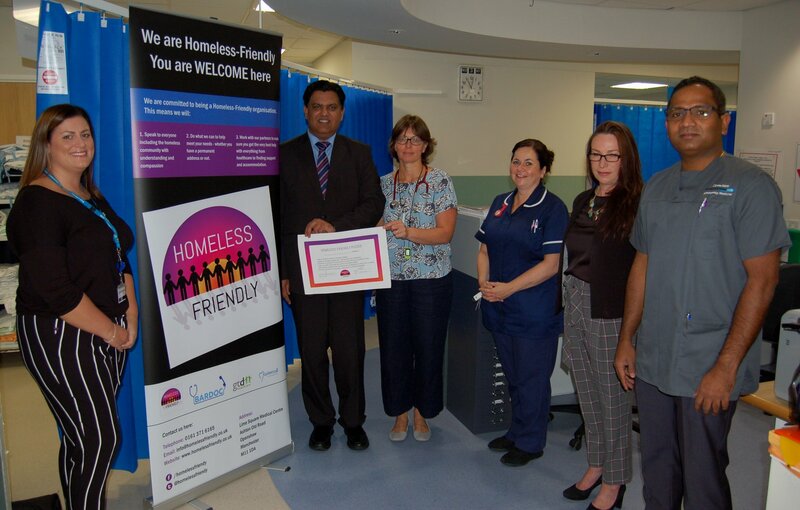 The Homeless-Friendly programme was pioneered in Greater Manchester after Dr Chauhan and local out-of-hours staff at BARDOC became aware of the chronic health problems being suffered by rough sleepers – including malnutrition and appalling dental pain. Adopted by GP practices across the region, Bury has embraced the programme fully with its Council funding health information cards for rough sleepers, BARDOC providing telephone support and guidance, and practices pledging to become Homeless-Friendly. Staff at Fairfield General Hospital have received training on how to refer homeless patients to local doctors and to social care services that can support them. Homeless-Friendly practices across the North West have already built-up great links with training providers and citizen’s advice and have even set up foodbanks on their premises. By working with the Homeless-Friendly programme, Fairfield General Hospital aims to support the work of Devolution Manchester and the commitments to homelessness by The Greater Manchester Health and Social Care Partnership (GMHSCP), the body made up of NHS organisations, councils and others with responsibility for the city-region’s devolved £6 billion health and care budget. GMHSCP has committed to help homeless patients register with and access GP services, support the development of outreach teams offering screening, health advice and health support, develop plans that seek to ensure no patient is discharged from hospital onto the street, plus joining up the commissioning and provision of targeted specialist support services such as substance misuse.